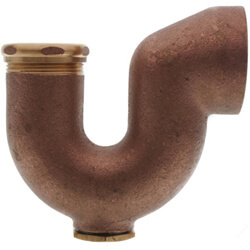 P-Traps and other Tubular Goods are the backbone to plumbing systems everywhere. 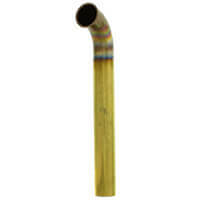 Tubular goods are available in a large range of shapes, sizes, and materials. 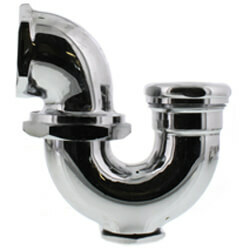 P-Traps can be found in almost any household equipment that drains water. 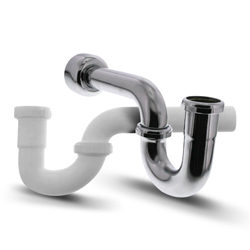 A p-trap is comprised of a tailpiece, a curved trap, and a drain elbow. 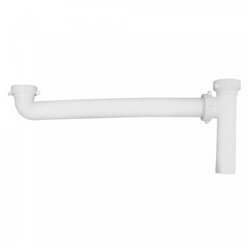 The drain elbow for a p-trap fits into the drain pipe which enters the wall. 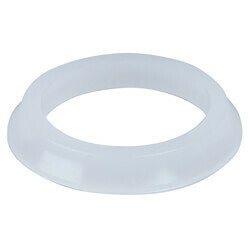 They are available with or without cleanout plugs. 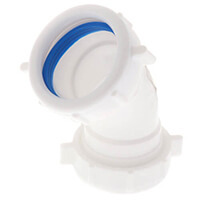 If one with a cleanout plug is installed it can be cleaned without removing and installing a new trap. 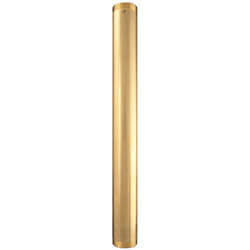 An S-Trap is used to prevent hazardous sewer gases from entering buildings. 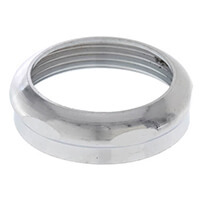 S-traps are also used in refinery applications it also prevents hydrocarbons and other dangerous gases from escaping outside through drains. 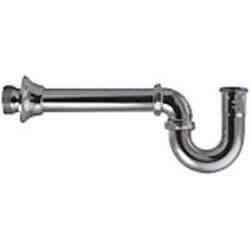 A Flush Elbow is used to change the direction of a piping system, a flush elbow does not have a moveable nut and cannot be cut down to size. 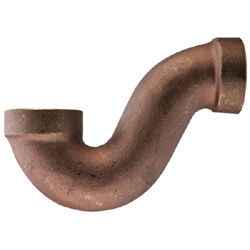 A Slip Elbow is also used to change the direction of a piping system, but has a movable nut and the pipe can be cut down to size. 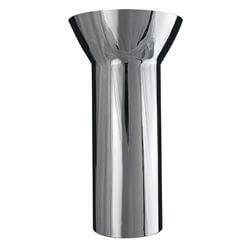 A Tubular Fanged Tailpiece is used as a connector between a trap, and either a kitchen or bar drain. 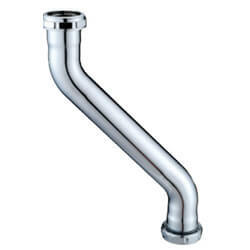 A Tubular Dishwasher Tailpiece is commonly used in double sink applications. 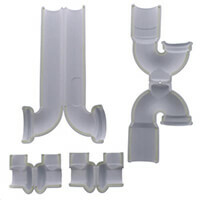 The dishwasher must connect upstream of the trap into the fixture outlet pipe on either the vertical or the horizontal section with the use of a tailpiece. 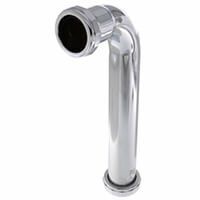 A Tubular Slipjoint Tailpiece is used to connect fixture drains to the end of a pipe. They allow a pipe to be adjusted in and out.